The ukulele reached great heights of popularity in the 1920s and 30s, largely due to the excellent George Formby, but after the 1960s, the instrument was in decline. Since the turn of the 21st Century there has been a resurgence, with schools adopting it, and many local groups performing with it. It is easy to see why. 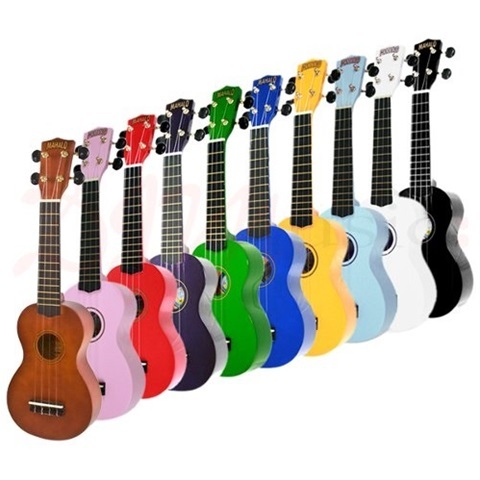 The uke is an absurd little instrument, and cannot help but raise a smile whenever it is played. 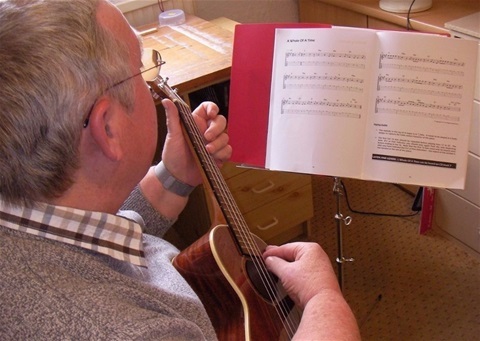 It is also very simple to play, beating the guitar hands down for accessibility, particularly for young people. By far the largest group of people taking up the instrument are adults, particularly retired ones, who seem to respond to its ease of playing, its relationship with the popular music of the past, and the enjoyable dynamic of being in a group of like-minded individuals. Just as for guitar, a few basic chords enable the beginner to start playing simple songs, and scales and single notes (using the Tablature system) soon lead to simple tunes. I also use the Grades recently introduced by the Registry of Guitar Tutors, written by Tony Skinner, and these are ideal way to enable people who already play to improve.